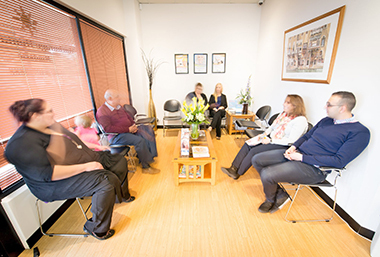 Patients of all ages and conditions are welcomed to our friendly, modern practice in Mindarie. We provide a large variety of services to provide our patients options for their care. Our skilled staff will help put you at ease, leaving you feeling confident and comfortable about your dental care with at Anchorage Dental Care. Taking proper care of your teeth is the best way to make sure you won’t be in need of more invasive dental care in the future. Our practice focuses heavily on prevention of oral conditions. We have a dedicated Oral Hygiene Program that makes it simple for you to come in for a routine cleaning every six months, ensuring you’ll never miss an appointment. For those who may feel uncomfortable calling us to schedule a dental procedure, a free consultation is the perfect solution. Call to schedule a time to come into our practice and talk to us about your needs. We’ll be able to give you options for care and put you at ease, making sure that you have state-of-the-art solutions to get your perfect smile. New patients are warmly welcomed to call and speak with our Mindarie Dentists today!